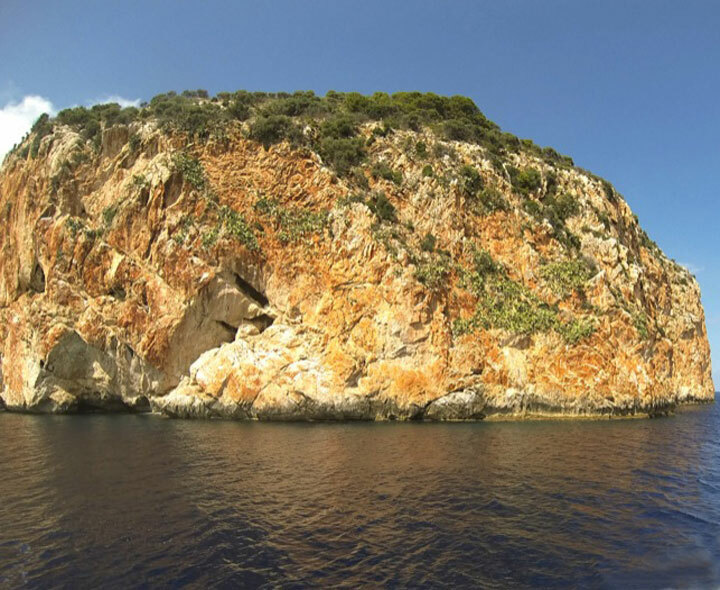 The Levante of Mallorca Marine Reserve is located at the north side of the Levante´s coastline of the island (between Cala Mata and Cap des Freu). It is an area subject to special fisheries protection measures. The coast is made up of numerous cliffs that form underwater caves. The coastline combines rocky areas with fine sandy beaches, some of which are considered virgins: S'arenalet D'aubarca, Cala Estreta, Cala Mitjana, Cala Torta or Cala Mesquida. The seabed is varied and of great ecological and fishing value. The main biological communities are developed around the prairies of Oceanic Posidonia considered as areas of high biologic production and of refuge and fingerling of many species of fishing interest. Some species represented in the area are the grouper, cabracho and corvallo along with crustaceans such as the red lobster and the lobster. Within the waters of the reserve there are also some species of passage like the llampuga and the squid during the summer-autumn time.